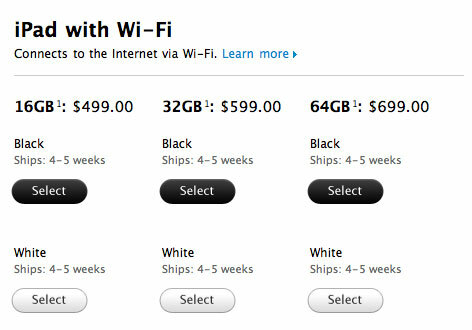 iPad 2 availability continues to get worse with Apple's online store citing 4-5 week ship times for new iPad 2 orders. Several Apple Retail stores are planning on opening early tomorrow to accommodate the continued high demand for the iPad. Based on what we've heard from readers, retail stores have remained sold out since the initial launch day. Apple has not released official numbers but it seems supplies have been limited since launch day. Apple's only statement on the matter has been that there has been "amazing" demand for the new product. Meanwhile, at least some of the first online orders are arriving. 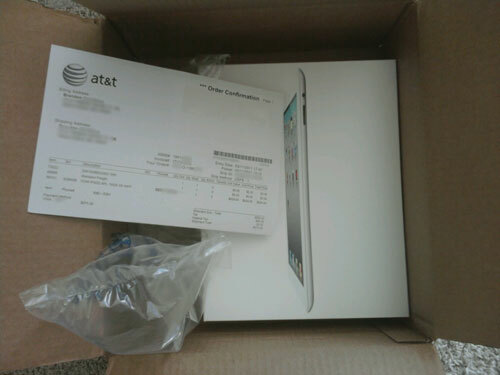 One reader reported to us that his first day AT&T order for the new iPad arrived on Monday. Many who have ordered through Apple's online store are still waiting for their initial orders.